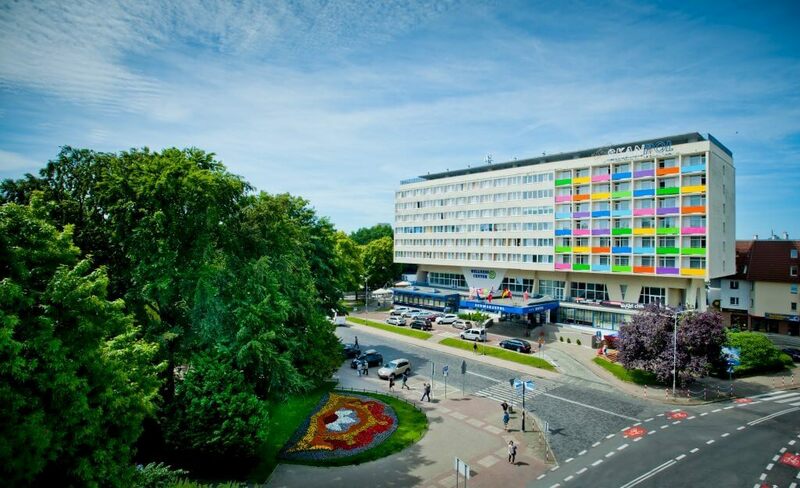 Welcome to the website of the New Skanpol Hotel, the most popular 3-star hotel in Kołobrzeg, which has been offering accommodation in the town centre in the immediate vicinity of a picturesque park, just 15 minutes away on foot from the beach for over 50 years now. Apart from a convenient location the Hotel has been offering a variety of ways in which the guests can spend their free time. 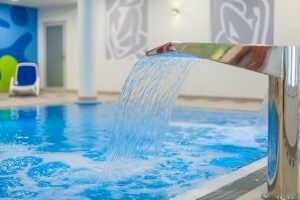 Please visit two restaurants: Sublima and Scandinavia; Aqua Center with a swimming pool, sauna, steam bath and Jacuzzi; the Welness Center with beauty and health treatments; the most popular disco in town: the Underground as well as a fitness room, billiards room and playroom for children. We care for the comfort of our guests offering a guarded car park and free of charge fast Wi-Fi connection. 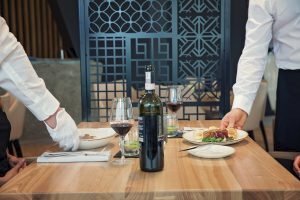 The Hotel staff, who boast a long-term professional experience creates a unique atmosphere and are ready to help with a smile on their faces. Join our guests! Please visit us! 7 nights with half board at a good price. Week for health - 7 days, 10 treatments. Everything was great about this hotel. Staff were helpful it was very clean central to all attractions and breakfast was amazing! Definitely I would say again. Staff went out of their way to assist, eg by arranging an early start breakfast as I had a train to catch. The breakfast buffet was wonderfully nice. Everything was there and fresh. The location of the hotel is good - close to resturants and beach. I was here during the communist era many years ago. It was special to see the same hotel in such a new "suit". Nostalgia. Top Value! Excellent choice - location in the center, free parking available, modern and well equipped room, breakfast with XXL selection, including fish specialties. Very cosy swimming pool and hot tub. Restaurant was opened till 10PM - we arrived few minutes before. Staff was very kind and served us tasty supper despite us being late. Aqua Center is open 7 days a week. Hotel guests use the swimming pool, sauna, steam bath and Jacuzzi free of charge. Artur Grajber’s art of cooking makes the restaurant a standout. Find out unique and surprising combinations of flavours. Open every day. A wide choice of massages, health and beauty treatments. Natural cosmetics from Kołobrzeg can be purchased in the Wellness Center from Monday to Saturday. Open Friday and Saturday from 10.00 pm until the break of dawn. 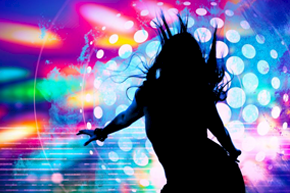 Please visit The Underground, a night club which boasts the longest tradition in town. Resident DJ Sasha Dubrovsky ensures guests have fun.